Are you new to the Austin, TX area? Welcome! You’ve just arrived in one of the best cities in the country. Austin is home to some of the most exciting natural areas, nightlife, and family activities in the area. If you’re wondering what to do after moving to Austin, here are some of Blue Whale Moving Company’s top picks. Austin is not only one of the coolest cities in Texas – it’s also the state’s capital! When you first arrive in Austin, one of the first things you should do is visit the Texas State Capitol. It is a National Historic Landmark and one of the most beautiful buildings in the city. The Capitol is ripe with stunning architecture and history, as well as 17 surrounding monuments. Austin is home to warm, temperate weather nearly all year-round. Take a dip during a hot day at the Barton Springs Pool, a man-made swimming pool filled with natural spring water and surrounded by natural wildlife. The Austin community loves to get together during warm days to splash around and enjoy the weather. Austin is home to many parks throughout the city, but the most impressive by far is Zilker Park. This 360-acre oasis is smack in the heart of downtown Austin and is home to many festivals and concerts every year. You can visit the Botanical Gardens, explore the waterways, and enjoy quality time with your friends and family, soaking up the Austin sunshine. Want to see what makes Austin truly eclectic? Take a stroll down the famous SoCo District, or South Congress. This stretch contains many boutiques, antique shops, restaurants, galleries, and many other places to explore in the heart of Austin. You and your family will enjoy looking at all the weird and wonderful things the city has to offer in this part of the city! Austin was home to President Lyndon B. Johnson and his wife Lady Bird, and the city is home to many areas named after the Presidential family. One of the coolest places to learn about the President is the LBJ Presidential Library and Museum. You can explore numerous exhibits about LBJ’s life and presidency, including a deep dive on his decisions during the Vietnam War and an Oval Office replica. Want to catch a bird’s-eye view of your new home? Visit the University of Texas at Austin campus and take a tour of the campus’s famous tower. You can get a 45-minute long tour to the observation deck, where you can marvel at a 360-degree view of the city, the campus, and the Capitol building. 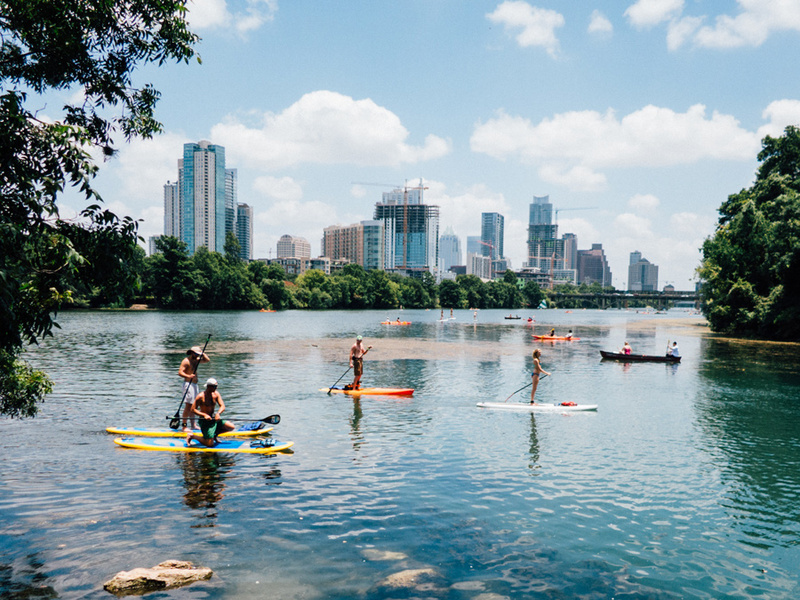 Austin is an awesome place to live, filled with activities and views that people of all ages can enjoy. Are you looking for a premier moving company to help you move to the best city in Texas? Contact Blue Whale Moving Company to schedule your seamless move today.